The central characters are Amanda and Rudger. 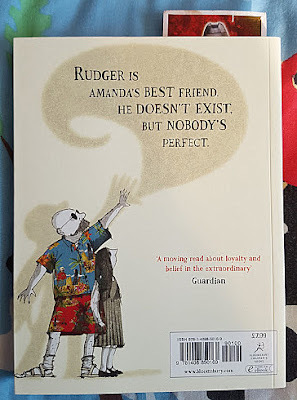 No-one except Amanda can see Rudger, and he lives in her wardrobe, so I think it's fair to say he is imaginary, and Amanda has an excellent imagination. 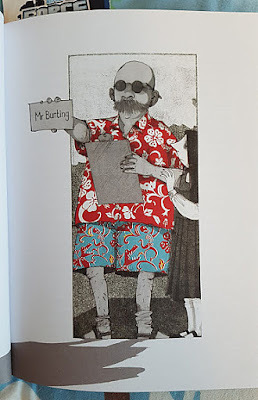 The Imaginary has striking illustrations by Emily Gravett throughout. She makes great use of a stark mix of colour and black & white to add emphasis to her pictures. The way she interprets eyes is brilliant, they draw your attention every time. Pages also have doodles and mini drawings, background shading and when the lights go out in the book, they go out on the page. It's very clever attention to detail. The writing is really very humorous, and my 7 year old laughs aloud regularly. 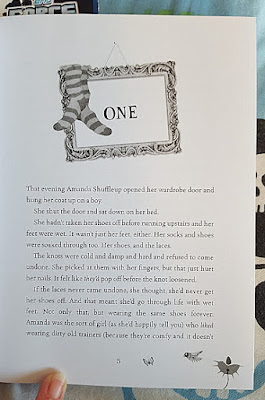 The Imaginary is quite a tricky storyline, but the language used is not, so a competent young reader should be okay reading and understanding alone. 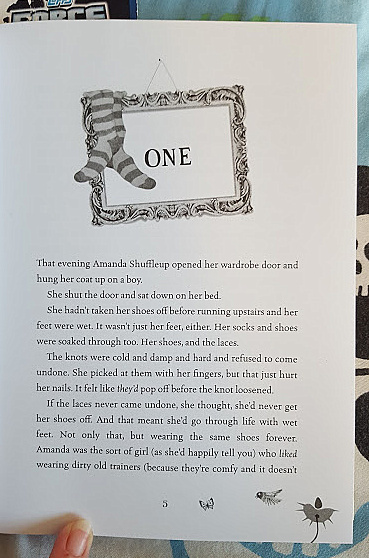 With 222 pages split into 14 chapters, and standard sized text, this is a daunting read for children under 7/8 years, but a lovely book for a child who has already progressed through their first Young Reader books. 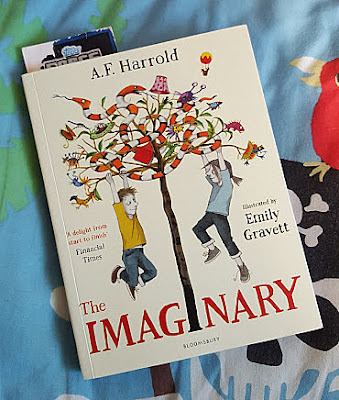 My 7 year old is a very competent reader and has a good vocabulary, so it was his choice to review The Imaginary, which we knew might be a difficult book as it is recommended for age 8+. In fact he's found it a delight to read, and we've read it together at bedtime. I've also very much enjoyed the storyline - and if I'm honest was rarely sure where it was going, so I was held in suspense just as much as my son!. The storyline is a little dark in places, and actually I don't see that as a bad thing. It's my opinion children are better to consider what 'death' and loss mean in a very controlled and subtle way, preferably before they have to face it in real life. Don't let that put you off, this is a children's book and it does not end in carnage, I promise. It just opens the way for discussion. A lovely book which we have thoroughly enjoyed reviewing. Totally over the head of my 5 year old, but great to share with older children, or for independent readers to read alone, The Imaginary is published by Bloomsbury Publishing and has an rrp of £12.99 hardback and £7.99 paperback or eBook. Also available on Amazon.